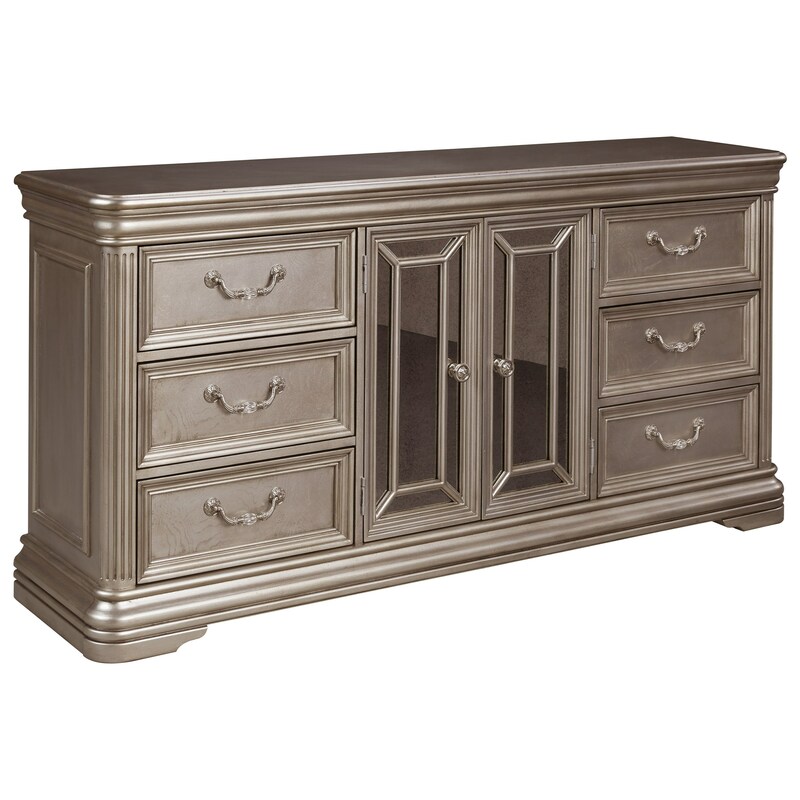 Made with ash swirl and birch veneers in a silver toned finish and featuring a set of mirror panel center doors, this dresser makes a glam design statement in your decor. Fluted pilasters, traditional drawer hardware, and classically style bracket feet add up to a beautiful bedroom storage piece. The Birlanny Dresser with Mirror Panel Doors & Silver Finish by Signature Design by Ashley at Miskelly Furniture in the Jackson, Pearl, Madison, Ridgeland, Flowood Mississippi area. Product availability may vary. Contact us for the most current availability on this product. Storage Door opening 22.00" x 15.00" x 26.50". Adjustable shelf (2) 23.75" x 12.38" x 0.63". Top drawer interior (lined) (2) 17.75" x 13.50" x 6.13". Middle and bottom drawer interior (4) 17.75" x 13.50" x 6.13"